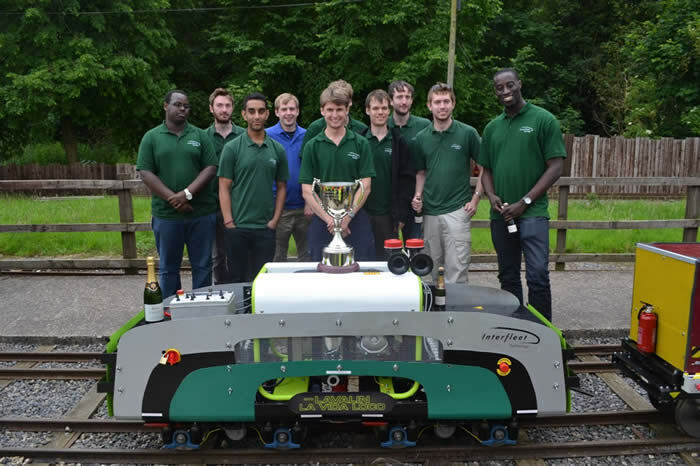 A group of graduate engineers from Interfleet Technology’s Derby office won the inaugural Institution of Mechanical Engineers ‘Railway Challenge’ on Sunday (1 July) at Stapleford Miniature Railway near Melton Mowbray. 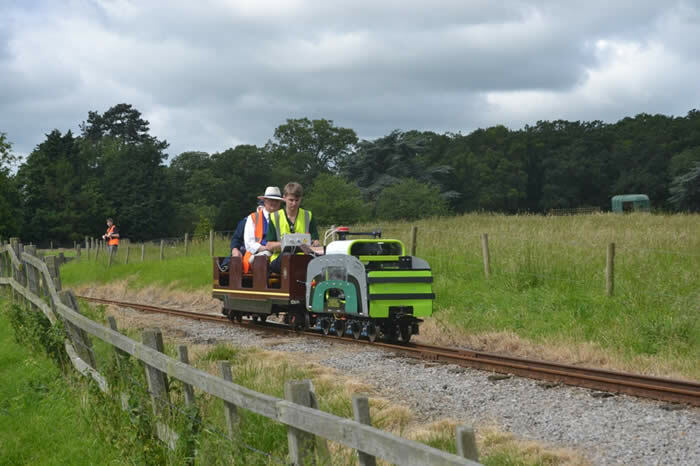 The day saw four student and apprentice teams compete against each other to design and manufacture the best, and most efficient small-scale locomotive. A central part of the competition was the Energy Challenge where the locomotive had to store energy during braking and use it to drive the locomotive up a gradient. Apart from the Energy Challenge, there were two other practical challenges focusing on traction and ride comfort. Teams were also required to make a technical submission and prepare a business case.